Yes, I thought I felt a trembling in the power of the Force. 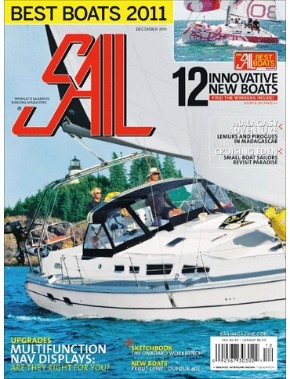 And there it is, the December issue of SAIL, the first issue in the history of the magazine that does not bear the name Charles E. Mason III on the masthead. “Chip” as his oldest friends call him, was a founding editor. Issue number one hit the stands in February, 1970 and I do mean hit. There is a whole generation of sailors now that can’t be expected to know what a revelation was SAIL. 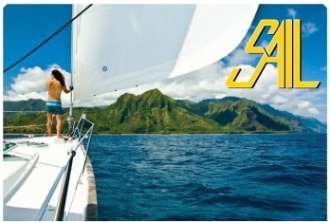 The industry standard was Yachting Magazine, fusty and narrow and set in its ways. The name comparison alone tells you something, and long before the decade was out, SAIL led the industry. Via email, Charles E. “Chip” Mason III, former Executive Editor of SAIL, declined to be interviewed here, judging that he preferred to leave his recollections “in the drawer.” In typical fashion, however, he did divest himself of a few suggestions as to stories he thinks I really ought to be writing. Once an editor, always an editor. Absent an interview, we shall say nothing of Mason’s formative experiences in the Navy, serving on a destroyer-minesweeper, his escape from a banking career to the world of sail and voyaging, his ready embrace of every new technology, his encyclopedic knowledge of the industry, his America’s Cup coverage, his transatlantic trips, his daily walk to work from Beacon Hill to SAIL’s Boston office whatever the weather, his gentleman-journalist, buttoned-down, impeccable New England manner occasionally accented with a bow tie, or his youthful reputation as the right guy to have on the bow of your boat.